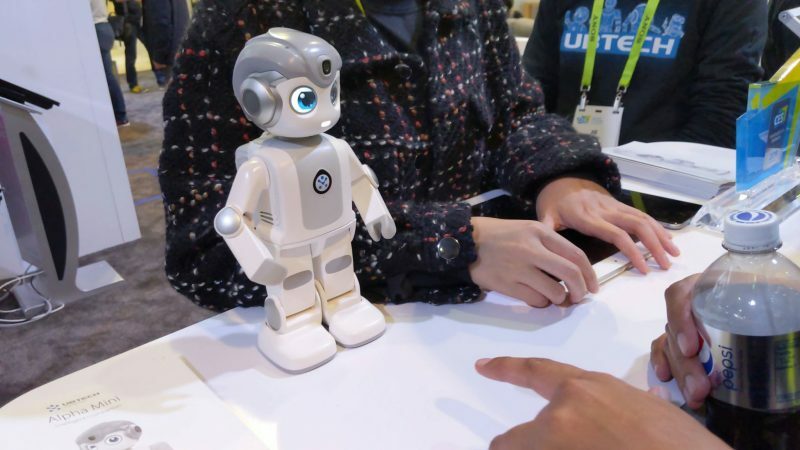 One of the big trends at this year’s Consumer Electronics Show was the ever noticeable presence of robots on the showroom floor. As a kid growing up, I always wanted my own Johnny 5 robot, but at the time the idea was too farfetched, given the limitations of technology in the late ’80s. But with the recent advancements in modern robotics, a childhood dream is now a reality. This year, multiple companies from all over the world flocked to CES 2019 to showcase their small wonders to attendees. While I was at the show, I made it my mission to check out as many robots as I possibly could, and here’s my list of the best of the best. Kiki was actually the first bot we ran into at the show this year. It is a companion robot from a small startup founded by former Google and Nasa software engineers Jitu Das and Mita Yun. Kiki is currently its seventh prototype, and from what we saw, it looked very promising. It is able to track your movement through its wide-angle camera as well as remember your face. According to Zoetic, it can save an unlimited number of user’s faces, but it will forget you if it does not see you for two days. There are 16 touch sensors that allow it sense when it’s being petted or hugged. It can even sense when it is being picked up, put down or flying around the room like an airplane. Using four built-in microphones, Kiki can track the sound of your voice even if you’re in another room. When we were checking out the demo, Kiki was fixated on one of the Zoetic reps because it had already recognized him and heard him talking. It took some nudging to get its attention, but once it saw me, and I began to interact with KiKi. It took a moment before it began to become fixated on me. One really cool feature that Kiki has that I didn’t see a lot of the other robots display was that it can interact with other Kikis. Using Bluetooth technology, the robot will be able to sense when another one nearby, and they will interact with each other. You can also use a companion app that allows you to draw food to feed Kiki and even play games with it. There is currently no price set on Kiki and no projected release date. If we hear anything we will keep you posted. The CLOi Home robot was actually first announced at last year’s CES. It famously had a terrible reveal at LG’s press conference where it hilariously refused to listen to LG’s Vice President of Marketing. 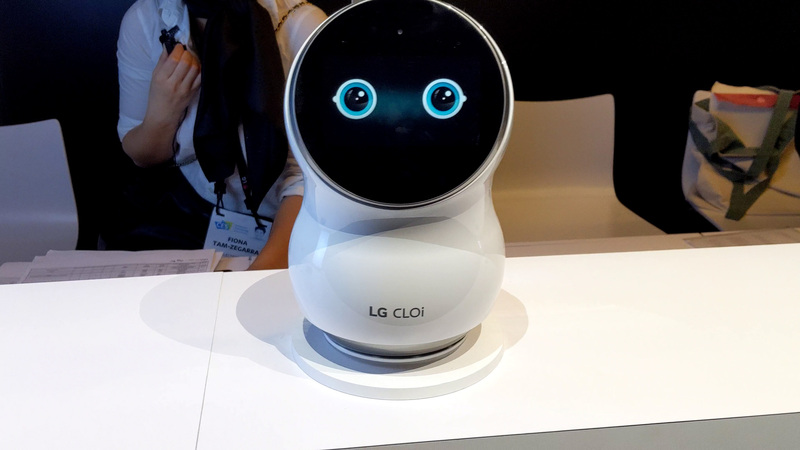 The Home Robot is just one of the many different models in LG’s CLOi series. I wasn’t really interested in the ServeBot, CartBot or GuideBot, which are mostly for business use. I was interested in the CLOi Home Robot because it is a unique mixture between a companion bot and Alexa. It will update you on your schedule for the day and can smart connect to everything in your home, and at the same time, it will display a very expressive face. The CLOi also uses LG’s patented ThinQ Ai, which is a cloud-based artificial intelligence that is always sending feedback so that it can continue to learn and improve performance. The feature is already implemented on many of LG’s new products, from their phones to new 88-inch 8K OLED TV. This will allow LG to better support their products. I was able to get hands-on with CLOi, and it was able to track my movement and follow me around the room. However, it seemed to be in some sort of autopilot mode and wasn’t actually interacting with me. The demo model did display that you could change its eye color, and it allowed me to pick and choose emotions or expression. My guess is that these will all be included once the product is actually ready, but it was a bit of a letdown not being able to actually interact with it genuinely. CLOi does seem promising, but it is far from ready as there is currently no release date set for it. Ubtech is a robotics company based out of China, and they actually had a lot of robots to showcase this year. The one that really caught my eye was their new model, Alpha Mini. Standing 10-inches tall, the miniature robot can dance, do push-ups and even practice karate. Its camera system allows it to recognize faces, identify objects and can even take pictures. You can also stream music, do video calls and even have Alpha Mini speech read your text messages. Unlike many of the other robots at CES, Alpha Mini is only limited by what you program it to do. Ubtech wants kids to not only have fun with Alpha Mini, but they also want them to be able to learn the basics of programming. Each robot will come with its own software that will allow you to program Blocky coding for your robot. I’ve already seen videos where people have programmed Mini’s big brother Alpha 1Pro to delivering Optimus Prime’s speech at the end of the first Transformers movie. One cool thing I noticed was when an Ubtech representative was demoing the robot for us, Alpha Mini started to become bored because we weren’t paying attention to him. Once we reverted our attention back to him, he immediately perked up and did a little dance. I really like this robot, but don’t be fooled by its small size, because it will come at a high price. Alpha Mini will run you roughly around $1,000, and they currently don’t have a set release date for when it will launch in the States. It’s hard to believe that the first Aibo came out in the year 1999. Now Sony’s Aibo isn’t exactly new to CES. It was actually showcased at CES 2017 and was only released last year. It reportedly sold 150,000 units in its first release and is currently sold out in both the US and Japanese markets. Being that this was the first new Aibo in 11 years since the last generation, I had to get hands-on with the robot dog while I was at the convention. I have to say, I found it very interesting that each Aibo comes with a three-year AI cloud plan. This allows Aibo’s day-to-day memories to be uploaded to the cloud that updates the AI Engine that makes Aibo’s overall personality. 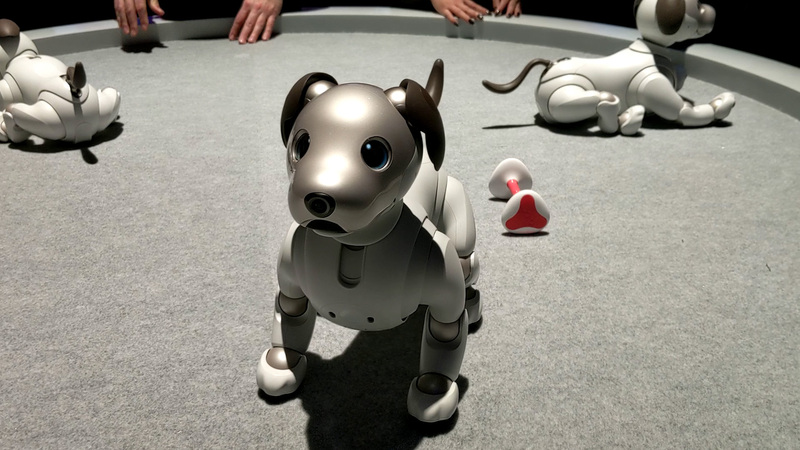 Sony notes that no two Aibo are alike, and for $3,000, they sure as hell better not be. I do like that as your relationship grows with Aibo, you will unlock more features and tricks that it can do. Much like many of the robots on this list, the robot is equipped with multiple sensors that can feel when you pet it or scratch its chin. A fisheye lens is cleverly hidden in Aibo’s nose that allows it to scan surfaces and map out the terrain. Using facial recognition, the robot can identify family member and it even has voice recognition that will allow you to teach it up to 50 vocal commands. It also has a wide variety of barks that will be associated with specific emotions. Paired with Aibo’s expressive eyes, it will let you know when it is sad, happy or mad. It’s worth noting that while I was watching them, I noticed that they never actually interacted with each other. I ask one of the reps if the Aibos could do it. They told me there is currently no feature that allows them to interact with each other, but they didn’t rule it out as possible ability. I’ll admit, I was impressed with Aibo, but the price just seems too steep when there are thousands of real dogs that need to be adopted. There is currently no set date on when the Aibos will be restocked, but you can get on the waitlist for one. Lovot has to be the most “companion-est-y” robot that I’ve seen at this year’s CES, and it is because its sole purpose is to make you feel loved. Groove X is a Japanese-based developer that created the bot, and the name is literally a combination of the words “Love” and “Robot.” Lovot has a completely unique look compared to the other robots on this list. You can clearly see that its design is more comparable to an actual stuffed animal, and that is clearly by design. Kaname Hayashi created the robot after he saw the epidemic of loneliness while in Japan. It was a personal passion project for him, and as Hayashi would tell you himself, the robot itself is not particularly useful for anything other than what he designed it for. Lovot will not tell you what the weather is and certainly won’t smart connect to any of your smart devices. Lovot’s only function is to get your attention and your affection. While it doesn’t talk, it will make a coo sound and will flap its penguin-like arms when it wants to be picked up. The developers noted that it will target you endlessly until you decide to actually give it attention. Once it is in your arms, it will likely fall asleep. Using its 50 sensors across its body, if it detects and sudden movements or actually pokes its nose while it is asleep, Lovot will jerk awake and startled. Now compared to the other robots on this list, Lovot probably has the biggest and most engaging eyes. Due to its unique camera system, Lovot can actually track your head, and it gives off the illusion that it is actually staring directly into your eyes. Using a three camera system on top of its head, the robot is able to scan a room in 180 degrees. This allows the robot to see depth as well as temperature. With this information, Lovot can track your movement better and can avoid bumping into objects. It too has its facial recognition and can save up to one thousand faces. When meeting new people, Lovot will be shy at first to people it doesn’t know. It will even remember if you were particularly rough. Let’s say you happened to be little too rambunctious with it, once it recognizes you, it will likely turn around and run the other way. Now, if you haven’t noticed already, there is an ongoing trend on my list. So I think it is safe to say that you shouldn’t expect the Lovot to come cheap. Groove X is currently taking pre-orders for a bundle pack that will get you two for the low low price of just under six thousand dollars. They will run rough over three grand for each if you decide to buy them separately. I guess there is some sort of discount. They will actually interact with each other, follow you together and will know when you’ve hugged one but not the other. I really like the Lovot. The only thing that I thought could be better than the price was its ridiculously low battery life. While it will automatically return itself to its charging dock when it needs to recharge, having a one-hour battery life for a robot just seems far too low. I know that the Aibo is currently about two, but that shouldn’t be the standard. Honestly, Kiki and Lovot were my favorite two robots. Their design and personalities just instantly clicked. The main reason is probably their very distinctive and expressive eyes. While it may not be a real living creature, their give off the impression of a genuine lifeform that’s hard not to fall in love with. The current high prices are what they are, and it’s really unfortunate that the only way most people will only be able to experience these technical marvels is through events like these. I can only hope that as the robot market grows and the price of manufacturing hopefully lowers, these little guys will available for everyone to enjoy. I guess I should mention Samsung’s Bot Care robots? They appear to be more health-related, and Samsung didn’t have any working live demos at their booth. Unfortunately, the robots were just shoved into a corner and people could only take pictures of them from afar. That should probably give you an idea of how far they are from being available on the market. Last but definitely not least was RoboSea’s aptly named, Robo-Shark. Yes, you heard that right. 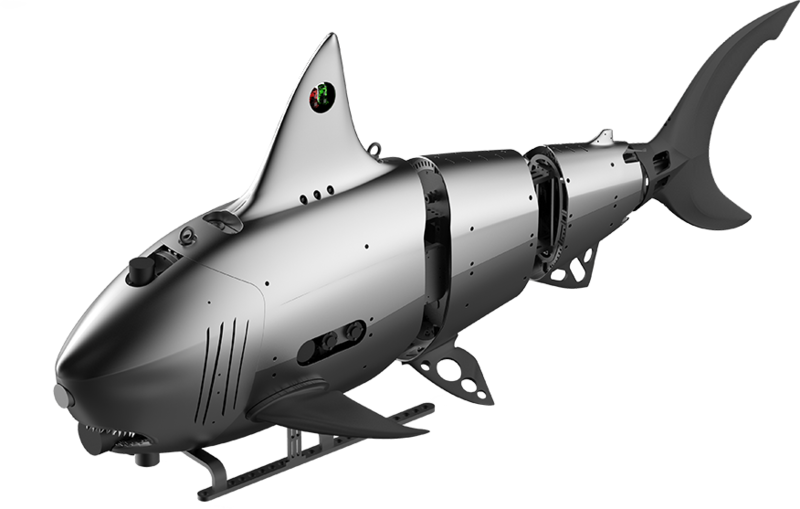 It’s a six-foot mechanical shark that can dive up to 300 hundred meters under the sea, and it only cost $200,000. 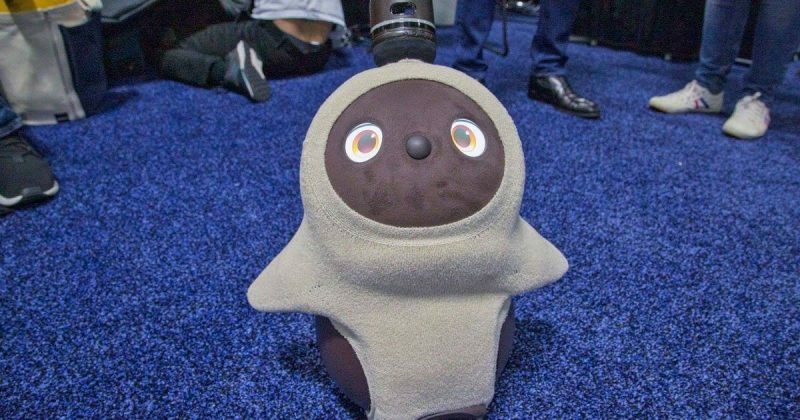 This would have been my winner for CES 2019, but my friends shot that down saying, “That’s not even a real robot, Mike. That’s a drone.” Well, it’s real to me, damn it! 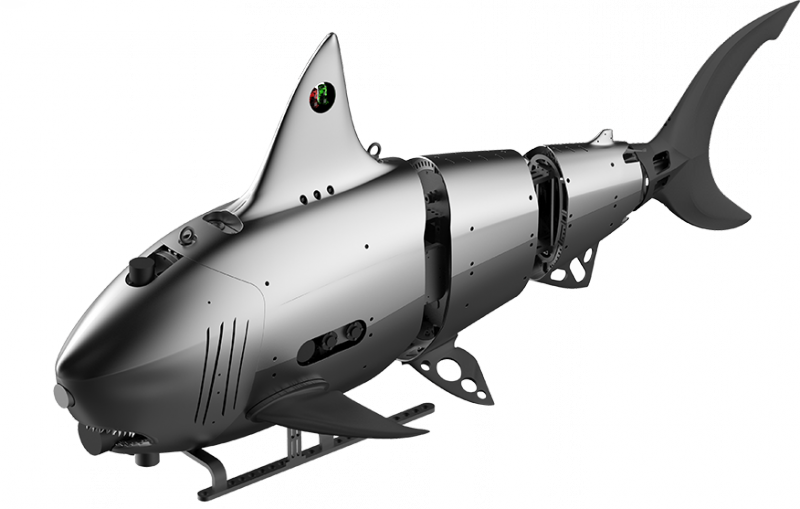 Anyway, if you know anyone with a stupid amount of money looking to invest in a fleet of robot sharks, tell them to give me a call. 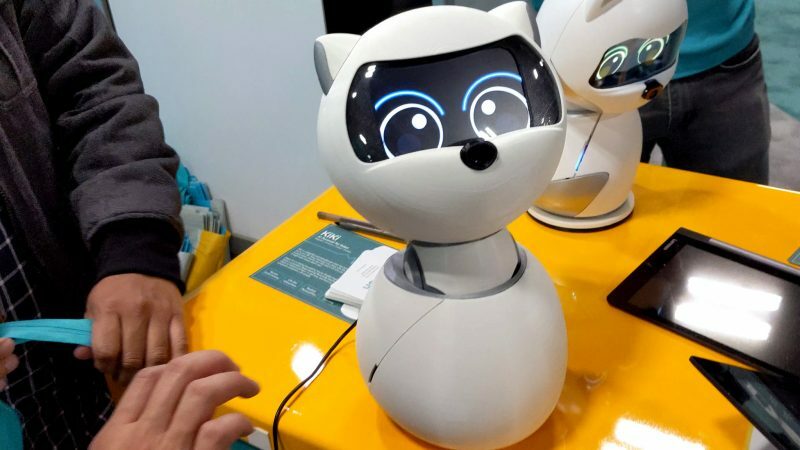 The post 5 best companion robots of CES 2019 appeared first on Nerd Reactor.